E ach year we ask our students in formation to introduce themselves. This year’s group includes four candidates, four professed seminarians, and three novices. They are men from a wide variety of cultural, educational and work backgrounds. Yet they all speak of their shared call to the spirituality found in the Priests of the Sacred Heart (Dehonians) and a desire to serve others. 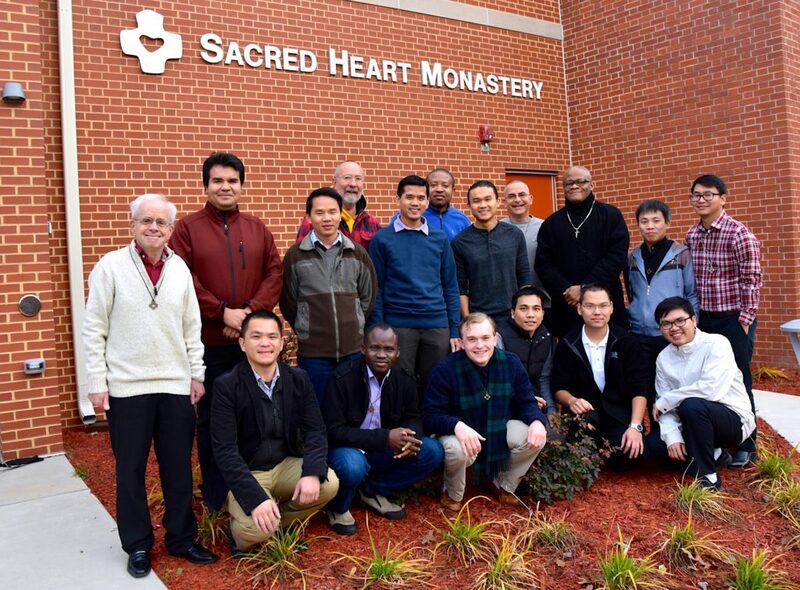 Candidates and seminarians for the Priests of the Sacred Heart live at Sacred Heart Monastery in Hales Corners, WI. 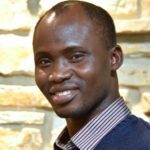 They do their theological studies at Sacred Heart Seminary and School of Theology and undergraduate work at Marquette University in Milwaukee. Are you discerning a vocation to the priesthood and/or religious life? Do you feel called to a life of community, prayer and ministry based in the love of the Sacred Heart? Click here to contact our vocation director or call 1-800-609-5559. 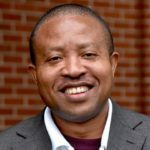 My name is Kenneth C. Anyanwu. I am originally from the southeast of Nigeria. I came from a devout Catholic family of seven: three brothers and four sisters. I am 45 years old. Prior to entering formation with the Priests of the Sacred Heart this year, I earned a master’s degree in Jewish Christian studies from Seton Hall University in South Orange, NJ. Initially, what attracted me to the Priests of the Sacred Heart was the name. I found the name to be very fascinating and captivating. When I inquired further, learned that they have what I consider a captivating life and ministry which blends well with my personality, gifts and vision. The fact that the SCJs are committed to continuing Christ’s work of rebuilding our world into God’s kingdom of justice and love is a strong connection for me. My hobbies include, reading, singing, playing table tennis and making new friends. Hello, everyone. My name is Huan Pham. I’m 33 years old and originally from Vietnam. I graduated with a degree in Sociology from the Vietnam National University of Social Science and Humanity in 2008. Before I entered priestly formation in the US Province in January 2018, I spent seven years in the Philippines doing philosophy, postulancy, novitiate, and initial theology studies. From 2015 to 2016 I did my pastoral year in Vietnam. Now I am in my second year of theology at Sacred Heart Seminary and School of Theology. I love playing soccer, taking care of plants (especially the cacti), and chatting with friends while enjoying a cup of coffee. My name is (Paul) Phong Hoang. I am 26 years old and was born in Hà Tiên, Kiên Giang, Việt Nam. My family came to the United States in 2007 and settled in Houston, Texas. I graduated from the University of Houston in 2015 with a B.S. in Biology. 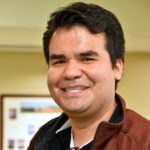 I am in my third year of formation and currently living at Sacred Heart Monastery and attending Sacred Heart Seminary and School of Theology. I am in my first year of theology. My uncle in Houston recommended that I reach out to the Priests of the Sacred Heart during my initial discernment. At the Come and See weekends, I was attracted to the SCJs’ simplicity, diversity, and community life. 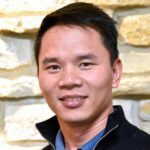 I’ve been in various ministries since I joined the community, including the ESL program at the Vietnamese Association in Uptown Chicago, the Vietnamese Eucharistic Youth Movement (TNTT), and the Vietnamese language program for children at Queenship of Mary parish in Joliet, IL. This year, I am volunteering at St. Ann Center for Intergenerational Care and Dismas Ministry. In my spare time, I enjoy playing soccer, billiards, and exercising. When I was young, my father always told me that I was to become a priest. I am not certain and I do not believe in destiny, but the events of my life, whether they were good or bad, have surely been leading on a path towards priesthood. To begin with, my name is Hubert Senam Kodjovi Liassidji. I’m originally from Togo in West Africa and I became American citizen on August 17, 2017. Born on November 3, 1980, from a faithful Protestant woman and a Catholic man, I am the fourth child of a family of five. I have two sisters and two brothers. I was raised by my mother, who taught me a lot about the Christian faith, though I did not have the opportunity to get baptized when I was a child. While growing up I thought about becoming Protestant. But instead, I converted to Catholicism and was baptized at the age of 19. After high school, I studied Physics and Chemistry at the University of Lome, where I got my degree in Chemistry. I moved to the United States in November, 2010, and worked at many places. My first job was at Tyson Fresh Meats in Joslin, IL, where I was meat cutter, and later a machine operator, from January, 2011 to June, 2014. 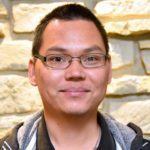 I wanted to continue my studies, so I moved to Iowa and worked at Iowa Automotive Component (IAC) as a forklift operator while studying at Kirkwood Community College in Iowa City. I majored in Chemical Engineering. Feeling called to the priesthood, I began to discern my vocation with the Diocese of Davenport as well as several religious communities. I applied the Priests of the Sacred Heart in January, 2017, because I feel it is where God wants me to serve Him. I studied Philosophy and Pre-Theology at Saint Xavier University in Chicago, IL. This academic year, 2018-2019, is my novitiate year. After my novitiate, I hope to continue my undergraduate studies at Marquette University in Milwaukee. Hello there, I’m Duy Henry Bùi Nguyễn and I’m in the last year of my 20s! I was born and raised in Orange County, CA. I earned my bachelor’s degree in Psychology from California State University, Monterey Bay. Now I am in my fourth year of formation with the Priests of the Sacred Heart. I am studying theology at Sacred Heart Seminary and School of Theology (SHSST) after my first profession of vows this past August, on the feast of the Solemnity of the Assumption. I can finally say that I am an SCJ after first meeting the community in 2009. While in the novitiate, I got to discover more of myself, discover God’s natural beauty, and most importantly, learn more about the charism of the Priests of the Sacred Heart of Jesus. I am excited to see where this life as an SCJ will lead me. I know it will continue to allow me to help and serve those who are most in need. I have been involved in many ministries during the last few years. At SHSST, I am on the Student Council as the student representative for the SCJs. 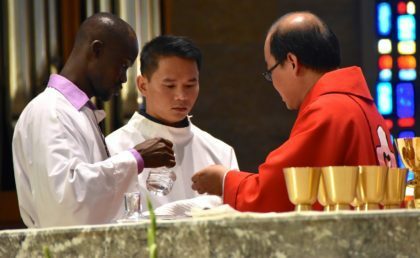 Also, I serve with St. Martin of Tours’ Vietnamese Eucharistic Youth Movement (VEYM) chapter as their Chaplain Assistant and VP of Academic Affairs to assist youth and young adults with their journey of faith. At VEYM’s national level, I am the Commission Lead of Vocations and a Youth Leader Trainer, helping the next generation of youth leaders. Outside of my ministries, I enjoy listening to music, watching movies, and exploring the outdoors. I am John Huan Nguyen from Vietnam and I am 30 years old. I have two brothers: one older, one younger. The first phase of my life was interesting for me in school, but then I asked myself, “What is next?” I wondered if I would have a family, what my career would be. I went to college; my years there were exciting but still safe in the arms of my family. I had a lot of friends and I have many happy memories of doing things with them. But then my life changed because of a deep call in my heart: the call of Jesus. I joined the SCJ formation program in Vietnam three years ago. After I completed a year with the community, I attended St. Joseph Major Seminary in Saigon to study Philosophy. Many people think that studying Philosophy is boring, but it is an important stage for a person pursuing a vocation. At the end of May, I left Vietnam and joined the ESL program at Sacred Heart Seminary and School of Theology. Now I am with the novitiate community. I am very happy to be a part of the community because we bring out the best in each other, but also sometimes the worst. Yet, I would not trade it for anything else. 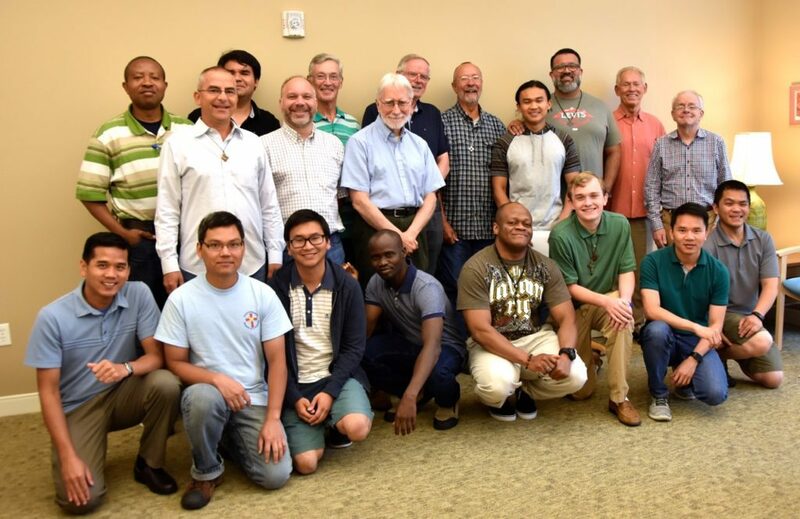 Now, I reflect on my vocational journey with the Priests of the Sacred Heart, learning to be intimately united with Christ in the “Ecce Venio” and “Ecce Ancilla.” This year is intense, but I am willing to be part of this fraternal living. Most of all, I am happy to be part of the community. The novitiate can be difficult, but it is also a sweet stage of my life. For me, whatever happens is good because it is of God. I will always try to live well. I hope my life is a beautiful reflection of God. I believe that through difficulties and trials life becomes meaningful. 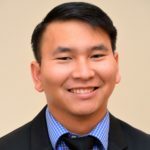 I am Frater Long Nguyen, originally from Thibodaux, LA. This year is my 39th year of life which includes many blessings. One of those blessings is a return to Catholic Theological Union for courses in preaching and presiding so that I can complete the requirements of the Program of Priestly Formation. A move back to Franklin, WI, is another blessing. The larger community at Sacred Heart Monastery has afforded me the experience of always praying with other SCJs. I am happy that I have been able to return to St. Martin of Tours parish and enjoy working with Dn. Chuck Schneider visiting the home-bound, as well as with the Lifeteen Program. Br. Duane Lemke, SCJ, who also does ministry with the teens at the parish, has been a great support. In addition, I have become a driver for those who have difficulties with transportation. The challenge of a larger community is finding time for solitude and the nurturing of a deep interior life. I have enjoyed the practice of pulling away to be on my own on the grounds of the seminary, the cemetery behind St. Martin of Tours, along the lakefront, at Whitnall Park, Holy Hill, Benet Lake and other beautiful areas in southeastern Wisconsin. However, I also feel called to live the SCJ charism through ministry with God’s people through communion visits, home visits, prayer groups, Eucharist and Adoration. My name is Hung Pham and I was born in Vietnam. 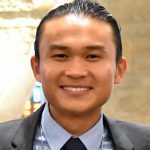 I lived in Houston for nine years and graduated in Petroleum Engineering from the University of Houston in 2015. Before entering SCJ candidacy, I worked at the ALS Oil and Gas Company as a total petroleum hydrocarbon (TPH) analyst; I began there in 2015. 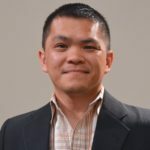 I am a member of Dong Hanh group in Houston, also known as a Christian Life Community group (CLC). 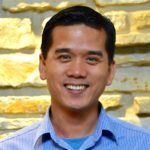 I taught Vietnamese and Catechism at Martyr church in Houston starting in 2013. Now I am teaching Vietnamese and Catechism at St. Martin of Tours in Franklin, WI. I am excited about joining the SCJs and want to discover more about the SCJ Rule of Life. I would like to learn to be a prophet of love, a servant of reconciliation, and be attentive to humankind’s appeals through Dehonian spirituality. Last year I lived in Chicago as a candidate. I studied philosophy and theology at Catholic Theology Union. I am currently attending Sacred Heart Seminary and School of Theology and am a member of the Sacred Heart Monastery community. I like playing soccer, biking, gardening, and walking. My name is Angel Romero, I am originally from Chihuahua, Mexico, am 34, and have studied and worked in law. I went to Estate University of Chihuahua, Mexico, and worked with the Latino community in the Bay Area of California. I have served as a reader in the Catholic Church since I was 12 years old. I have always loved being active in my parish. In my pilgrimage in the Catholic faith I have had great opportunities and experiences in my spiritual life, including people who told me about the Priests of the Sacred Heart. My current novitiate studies on the history of the Priests of the Sacred Heart have allowed me to learn about the social work of Father Leo Dehon. The teachings of our founder are applicable to the present; they can awaken the conscience of society in favor of people in need. My hobbies are walking, singing and playing piano music. Laudetur Iesus Christus! 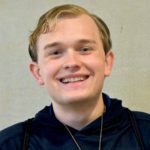 My name is Jacob Smith and I am in my first year of candidacy with the Priests of the Sacred Heart. I’m 19 years old (the youngest in the formation community) and I hail from Houston, Texas. I currently study Philosophy at Marquette University in Milwaukee. I was not raised in a Catholic household; I come from a semi-religious Protestant home where the Catholic Church was looked at with skepticism. However, my love of the history of mankind led me to ponder the truth in Protestantism, and after being confirmed a Lutheran, I left the faith for what I like to call “Christian Agnosticism.” However, the Lord called out to me from the darkness and showed me the light of the Catholic Church and how brightly it burned through the pages of history. I became fascinated with the priestly ministry and approached my local parish, wanting to know what Catholicism was about. Lo and behold, I decided to become Catholic myself. Two years after that first visit to the parish, on April 23, 2017, I received my first Communion and Confirmation. My fire continued to burn for God, but my passion for history also led me to develop a deep love for other cultures, which drove me to seek out a future as a religious missionary. Taking a bold move, I reached out to the SCJs and learned about their spirituality and founder’s charism before I ultimately decided, after much deliberation, that they were the order God was calling me to. I applied. Since entering candidacy, my hobbies include hanging out with my brothers in community, badminton, soccer, pool, singing, and listening to classical music. I also enjoy reading about international history in my free time. I am touched by the SCJs’ desire to help those whom society rejects the most, and how that charism plays such an important role in the life of a missionary. Our formation community, including three of our candidates from Vietnam who are currently studying ESL, preparing for their seminary studies.